Well it was rather okay as a book, even though Evie isn’t nearly as interesting a character. She is witty and fun but almost no other trait really stood out from her. The book was read easily as well as quick, with the IPCA being rather interesting. But nothing else really, because I could feel the deja vu from reading it. A lot of similarities as well as it resembles almost every other paranormal work I have read. Evie is acutally quite okay, she may not stand out explicitly or is intriguing with a trait kept to her. But she’s seems strong and quite skilled at her job, all the while her wanting to quit was tacked on at the last minute. I didn’t buy into, I just didn’t feel it. I just didn’t get it why she wanted to quit her job, and the introduction of that wasn’t hinted on very well. Evie liking high school things, it grounded me better in the book, but the explanation as to why she wanted it, I didn’t buy it into. That she wanted to be normal, I didn’t feel it was there. She seems to like her friends and family, and didn’t feel like she wanted to quit her job. Neither her reasons were good enough for me to buy into it. Lend was okay, he doesn’t seem to be perfect. Or possessive, he cares about Evie in a non-creepy or misogynistic way. So, I would say he’s a good character with a healthy relationship to her. All the while his background was interesting and felt realistic for a high school student. But the entire story background wise, it isn’t really interesting. Apart from some pretty unqiue abilities as well as some twisting of the myths rather than the usual bloodsuckers who keep their youth, their corpse is below. As for the IPCA, I’m surpised that Evie didn’t know the truth behind them, isn’t she their member. Weren’t they supposed to teach her and help her know her job. 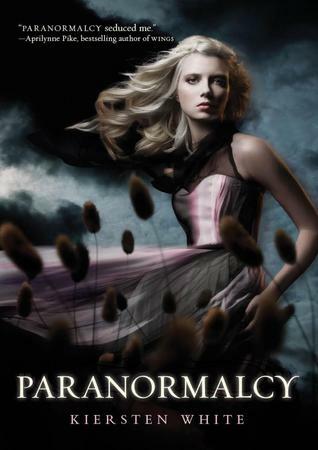 It feels stupid to not tell her the various things they do to paranormals, or Evie simply believed a stranger. And they do have stupid decisions which I agree with Evie fully on fairies, they are really too stupid to survive. They are immortals, all able and you take advantage of them thinking that names is all you need. Well, it’s only a matter of time before they rebel. They were stupid as an organization. And really no reason for why they were so. Reth wasn’t nearly as bad, he wasn’t down jealous boyfriend. He didn’t come off as one. But he was very much interested in Evie for reasons other than she looks hot. And I doubt he actually even liked her, but since at that stage of life Evie was incredibly naive so I’ll cut her some slack. All the while their history was interesting as well as even unique to a certain degree. But other than that, this was a fun and easy read. Generic and clear cut, and didn’t blow me away. Would read the sequel: maybe, as I’m pretty busy and even tired. So I’ll just dabble on the seuqel but not anytime soon.